Hand picked items with 60% or more discount to help you save without compromising on the gift. Holidays are special. They remind us to connect with our loved ones and tell them we love them, which we otherwise forget to do in our busy schedules. This means buying a thoughtful gift and celebrating our relationships. Now, here's the catch. You cannot buy something cheap, ironically it'll reflect on your emotions; and with inflation and rising cost of living you cannot afford a gift as precious also. So to ease your misery of finding a special gift at a bargain basement prices, we've compiled the list. All you need to do is look for the perfect gift. And yes, Happy Mother's Day to you too! 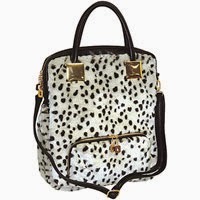 Adrienne Landau Snow Leopard Shopper Tote White - Adrienne Landau Leather Handbags. 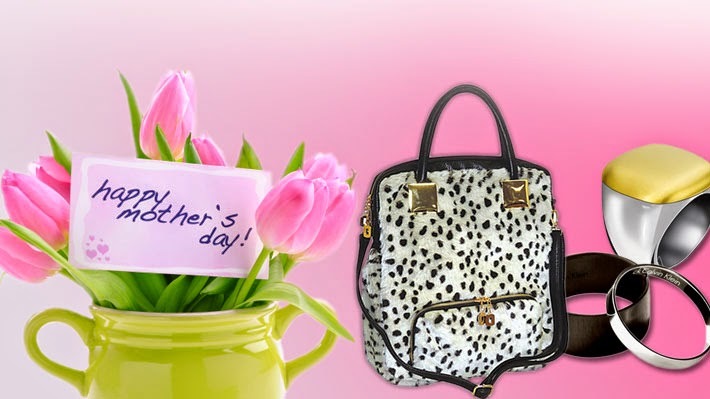 This snow leopard tote from Adrienne Landau is stylish and luxurious. It's convenient for shopping and chic for an evening out. 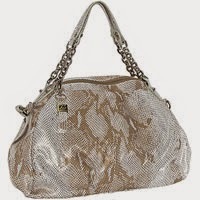 Buxton Metallic Embossed Snake Skin Hobo Gold - Buxton Leather Handbags. The Metallic Embossed Snake Skin Hobo is luxury and style personified. Metallic embellishments add to the opulence. 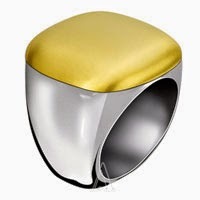 Calvin Klein Jewelry Women's Placid Ring. This Calvin Klein Placid Ring is the perfect gift for the confident woman who's stylish, out going and does not shy from making a statement. 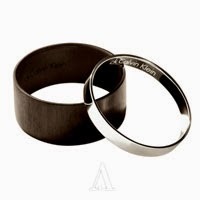 Calvin Klein Jewelry Women's Ebony Bracelet. Calvin Klein Ebony Bracelet for the bold and the beautiful. Perfect gift for a confident woman who is a natural with poise and style. 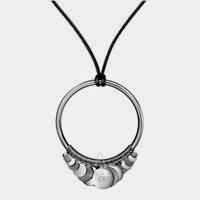 Calvin Klein Jeans Jewelry Women's Change Necklace. This Calvin Klein Jeans Change Necklace is smart and stylish. Great gift for a woman who can carry fashion with natural grace. 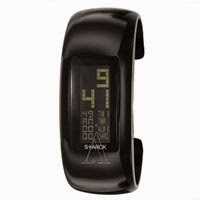 Philippe Starck Women's Digital Watch. This Philippe Starck Watch is made of Aluminum. It is styled like a bracelet to add feminine charm and style to the watch.A great gift for a working woman. Silver Plated Blue Topaz And Diamond Bracelet, Silver/Blue. 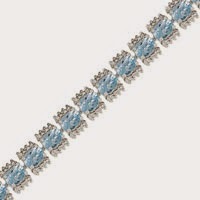 Whatever the woman's age be, she'll love this Silver plated genuine blue topaz and diamond accent line bracelet. Subtle blue gemstones get an accentuated shine with the diamond accents. She'll simply love it. 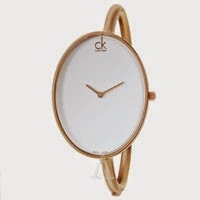 Calvin Klein Women's Sartoria Watch. This Calvin Klein Sartoria Watch is elegant, charming and stylish. The Stainless Steel Rose Gold PVD Coated Case and bracelet styling adds to the charm. Genuine Made in Switzerland watch. Betmar New York Raffia Tote Natural - Betmar New York Manmade Handbags. 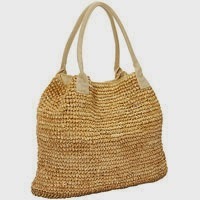 This Raffia Tote is natural, effortless style. It can be a perfect accessory for shopping, day out, beach, lunch with girlfriends and every place where she can afford take her stilettos off and put on her comfortable style. Silver Plated Garnet And Diamond Accent Bracelet, Silver/Red. What every woman wants. 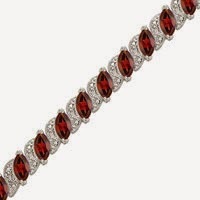 This Silver plated genuine garnet and diamond accent marquise link bracelet is elegance personified. The lovely red and white shine adds a class to this dainty, beautiful piece of jewelry.